Not one to start small or simple, Big Horn Armory took a bold idea and brought it to market. When most people think of big game hunting, they tend to think of Africa. But big game hunting is very much at home in the United States too. Whether it is bear, moose, elk, bison, mule deer or even white-tail, the lure and challenge of hunting a large game animal is often a bucket list item for many hunters. One of the challenges has always been the right caliber and the right gun for the job. Even seasoned shooters and hunters can cringe at the thought of a pulling the trigger with a bone crusher of a gun in a big caliber. About ten years ago, some big game hunters in Wyoming thought they could do better. Provide hunters with a powerful caliber on a platform that was totally reliable and, yes, comfortable to shoot. That was when Big Horn Armory was founded. Although it took them a couple of years to realize what seemed the impossible to many, they did it, and the Model 89 lever action rifle in .500 S&W Magnum is living proof. What is genius is that the team at BHA took what some consider the most powerful hunting handgun caliber, the .500 S&W cartridge, originally designed by Smith & Wesson for their X-Frame revolvers, and combined it with the quintessential American repeating rifle, the lever-action. At the time, the idea behind turning the .500 S&W into a cartridge capable of being fired through a long barrel, seemed simple, but the increase of power at the muzzle was almost double. Not any lever action would be able to handle this new cartridge. It would take several years of trial and error for the BHA team to design a brand-new gun capable of managing a brand-new cartridge. BHA’s initial concept would take the rimmed .500 S&W revolver cartridge and build a Browning style lever-action rifle around it. Easier said than done. 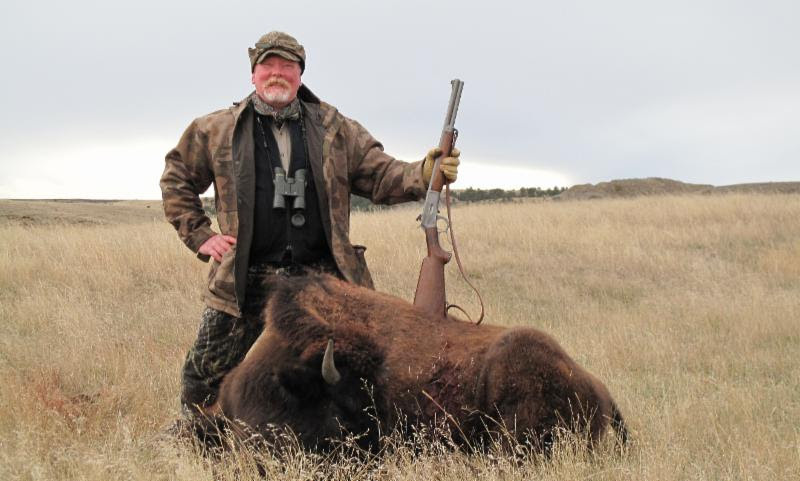 BHA’s efforts included taking the best out of the Browning Model 1886 and 1892 lever actions into a modern lever action platform that was capable of handling the new cartridge, provide accuracy, reliability and diminished recoil. The result was the Model 89, capable of handling the .500 S&W Magnum and other big bore calibers and delivering 300 – 600 fps more than the .500 S&W revolver. Power like this had never existed before in a rifle. The beauty behind the .500 S&W magnum for big game hunters is that it penetrates the toughest skinned animals and their bone structures. Bears and bison are both some of the toughest animals to harvest and a hunter might not have the chance to put a second round out when faced with a pissed off animal. It’s 1/2“ diameter is capable of transferring energy much more efficiently to the animal resulting in quicker kills and increased the chances of an off center fatal shot. The lever action Model 89 stock is designed to absorb recoil efficiently too, and the 1” Pachmayr recoil pad makes the shot recoil feel like nothing more than a 12-gauge shotgun. 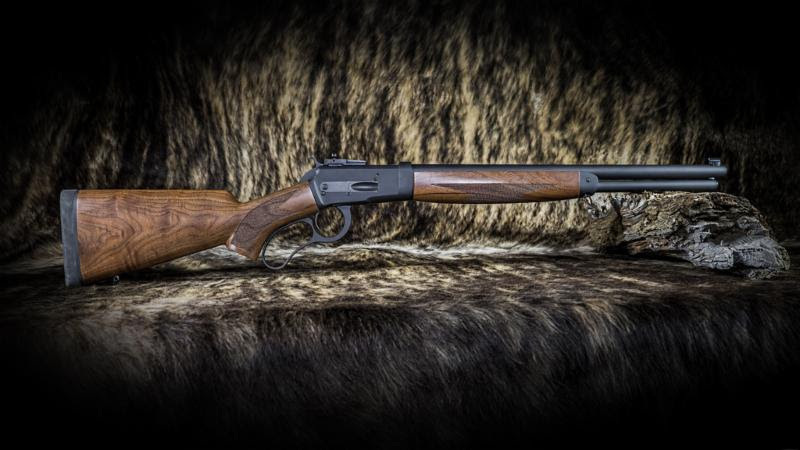 The lever action design is a superb big game hunting platform, providing hunters with super quick second shots unlike a bolt-action or single-shot platform. Plus, the Model 89 carries seven rounds and one in the chamber, better insurance than any double-gun, bolt or single-shot could ever supply. The Model 89 that started it all for BHA, was quickly followed by new models such as the 89A in .500 Linebaugh, the 89B in 475 Linebaugh, the 90 in .460 S&W, the Model 90A in .454 Casull, and the Model 90B in .45 Colt. Being big bore guys, one would think BHA would pass over the AR craze, but no. They didn’t pass it over, they redefined it. In 2018, Big Horn Armory introduced their version of an AR platform, but in a room clearing .500 Auto Max cartridge. 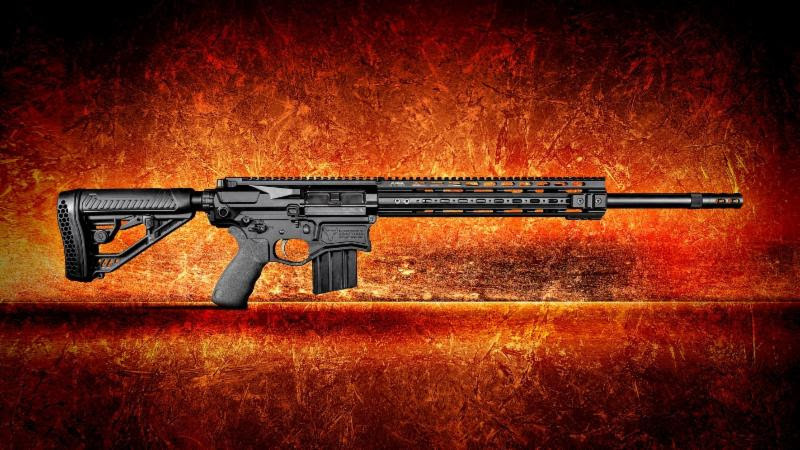 Based on a DPMS style AR 308 the gas-operated AR500 in 500 Auto Max, uses a .500 S&W rimless straight walled casing It can exceed 4,600 ft-lbs., making it an ideal platform for dangerous game and law enforcement SWAT and CQB teams. Wildlife game officials also count on the stopping power of the AR500 for large and dangerous game. Buchel also points out that every gun is literally custom. 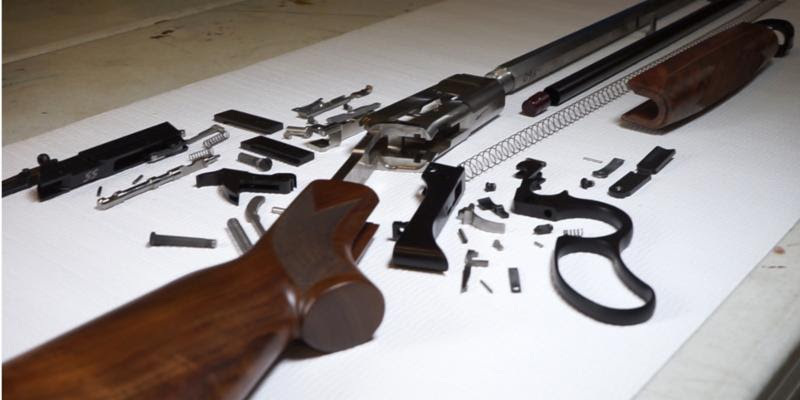 All parts, specifically designed for BHA are polished and assembled, and tuned to perfection by BHA employees with years of experience on firearm build and finish. Each gun is then hand fitted and glass bedded to the carefully curated wood stocks and forends. Each gun, when finished is tested before it leaves the door. The Big Horn Armory guns are heirloom quality yet purposeful. With the rise in popularity of big bore guns on the horizon, Buchel hinted at new guns to come that will surely and indelibly make Big Horn Armory the stand out leader in big bore excitement. Big Horn Armory guns are currently sold in the United States, Australia, Germany, Sweden, Brazil, the United Kingdom and other countries.